Photo: St Nicholas Cathedral in Almaty, Kazakhstan Being a teenager in the late 80’s and early 90’s was an interesting time for anyone, but especially a person living in Central Asia. As they grew up, they were under complete control of the Russians, being part of the USSR. When the Cold War ended in 1989, they were released from Soviet control. By the early 90’s, many new countries had been formed, such as Uzbekistan, Kyrgyzstan and Kazakhstan. This region of Central Asia became known by many as ‘the Stans.’ Within a matter of years, the people of this region went from being under complete Soviet control, to living in newly formed countries. The world and culture surrounding them had completely shifted. And in the midst of all of this, were Christians. Open Doors was founded in 1955 to minister to persecuted Christians living behind the ‘Iron Curtain.’ There were countless stories of Christians being persecuted for their faith in this region- Christianity did not fit with the atheistic state that many of these countries were striving to achieve. When the Cold War had ended, many thought that persecution had ended as well. However, this was not the case for many Christians in Central Asia. The following is an interview with a Christian from the Central Asian country of Kazakhstan about what life was like as a teenager during the end of the Cold War, how he came to faith and what life is like for Christians in ‘the Stans’: You are from the country of Kazakhstan. What is life like there? This is the largest of all ‘the Stans,’and is a very diverse country. On the western side is the Caspian Sea, and on the eastern side is China. Almaty is the country’s largest city, and is surrounded by a mountainous range. The winters are very cold and the summers are very hot. Often times, we only hear about the negative aspects of a country where Christians face persecution. What do you like the best about your country? The thing that I like the most about my country is that the people are not materialistic. About ten years ago, we had an ‘oil boom’ and this increased wealth in our nation. Many nations would have seen a great shift in their culture, but the people of Kazakhstan have not chased after materialism. For the most part, the people are still happy with the simple things. I think this is due partially to their nomadic roots. Also, the Kazak people very much value freedom, which is another admirable trait. Can you tell me some things about the different “Stans”? After the collapse of the USSR, different countries were created based off the major ethnic groups that inhabited the land. Tajikistan is mainly inhabited by the Tajik people. The language of Tajikistan is Farsi-based. Uzbekistan and Turkmenistan, along with Kyrgyzstan and Kazakhstan, have languages with a Turkish root. How did you come to Christ? My family was not a Christian family, and I didn’t really grow up with a Christian influence. I was a teenager when the Iron Curtain came down, and when I went to university, Kazakhstan was a newly-formed country. It was while I was at university that I was introduced to Christ for the first time. I began meeting with a group through Campus Crusade for Christ. After some time, I decided to dedicate my life to Christ. When I went home on break, I decided to share my new found faith with my parents. They were shocked. “That is the God of the Russians,” they said. They were surprised that I would pick a religion associated with Russians, but in the end, they acknowledged it was my choice. What kind of persecution is the church facing today (compared to when these countries were part of the USSR)? When the countries were all part of the USSR, people were not allowed to have Bibles in their homes, and churches had to meet in secret. The only church that was allowed to remain (in parts of the USSR) was the Russian Orthodox State Church (but even this church struggled). Persecution varies from country to country today. Under the Soviet Union, persecution came from the government. Today, it can come from the government, but often comes from family members or society. Christians in Turkmenistan and Uzbekistan face persecution from the government by not being allowed to register their church, having secret police monitor their activities or by being charged with ‘having western propaganda’ (for having Christian materials). Some of the other countries face either social persecution or persecution from family members. In Kyrgyzstan, Christians have not been allowed to bury fellow believers who have passed away, because members of their society have deemed the cemeteries as ‘Muslim only.’ In Kazakhstan, indigenous believers, especially converts, are harassed by their own family, neighbors and religious leaders. 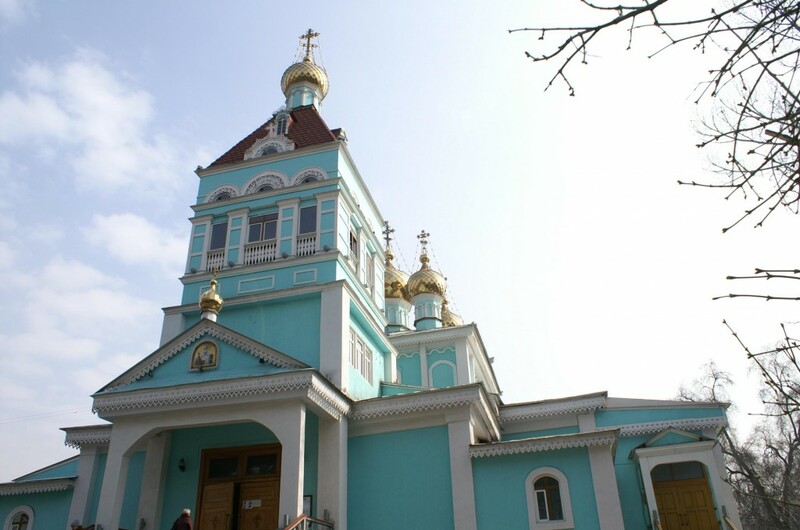 How can we be praying for the church in Central Asia? Kyrgyzstan- Pray for God to inspire the church; religious materials are permitted, but very difficult to obtain Tajikistan- Pray for churches that experience government raids, and persecuted Christians who may be physically harmed or have to leave their villages Kazakhstan- Pray for church leaders trying to register their churches with the authorities Turkmenistan– Pray for Muslim Background Believers who face more problems than other persecuted Christians, including physical attacks Uzbekistan– Pray for Tohar Haydarov, imprisoned in 2010 for ten years, on trumped-up charges.